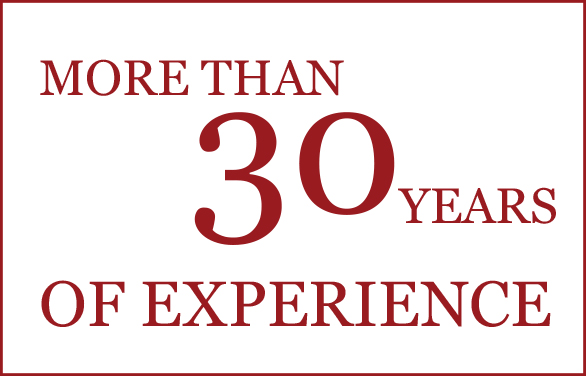 Alonso Cuervo Abogados is a multidisciplinary law firm established in 1987 with the capability to provide a comprehensive legal coverage. We offer solutions to companies and private individuals but our main customers are large and medium-sized companies which are focused on the industrial, engineering, building sectors, etc. and with a clear interest for international expansion. 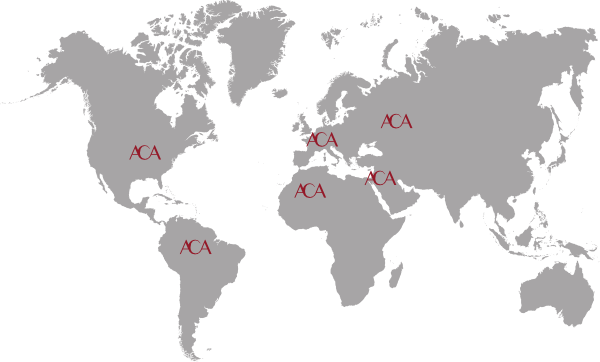 ACA provides with legal counselling to companies within the energy, building, infrastructures, engineering, oil & gas, commodities, hydrocarbons and biofuels sectors. Our firm is formed by a team of professionals with experience in different countries and in several languages (integral professional competence in Spanish, English, French and Russian). We participate in ICC arbitrage with headquarters in Spain and third countries alike and with implementation of foreign law on electrical infrastructure, renewable energy, oil & gas projects, etc. We collaborate in the preparation, follow-up and coordination of the legal counselling for our customers in disputes abroad, together with a network of law firms and legal partners with whom we collaborate closely. 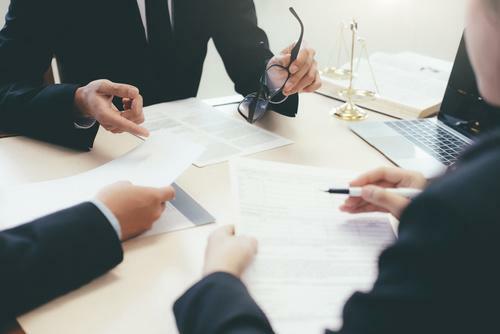 We have represented our customers before Spanish courts and tribunals in a number of complex cases and/or special cases in respect of litigation sum, cases related to industrial, building, engineering projects, etc. We participate in processes of expert determination and neutral evaluation by technical experts in electrical infrastructures and other civil projects and we have a specific qualification in dispute boards. We participate in regulated, defined negotiation processes as a prescribed means for the alternative resolution of disputes in building, energy and engineering projects. We have participated in a wide variety of bankruptcy procedures, as Bankruptcy Administrators and also on behalf of creditors. We have successfully filed several civil liability claims due to miscarriage of justice of a Provincial Court Section for a civil ruling of an appeal procedure. 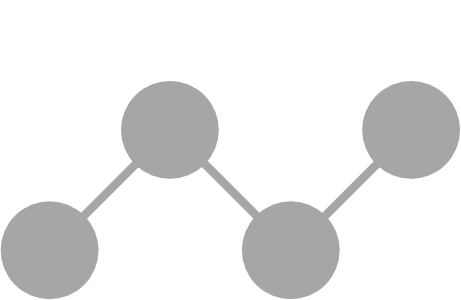 Bank refinancing and business restructuration transactions with novation of deadlines and extension of credit with or without legal homologation for extension of effects to the non-signatories or dissent financial institutions. We have drafted, supervised and negotiated thousands of national and international contracts for engineering, building and industrial assembly, infrastructures, energy plants, oil & gas, intermediation, commercial collaboration, trading and supply of commodities projects, etc. We have drafted and reviewed contracts of joint ventures, partnership, commercial collaboration, intermediation, etc. 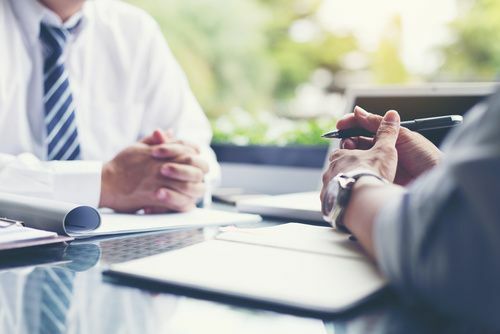 as well as preparatory arrangements during the negotiation phase (confidentiality agreements, understanding agreements, letter of intent, soft/full corporate offer, etc.). We participate in the follow-up of dozens of incidents during the execution of construction contracts, services contracts, sales contracts, etc. both at national and international level. 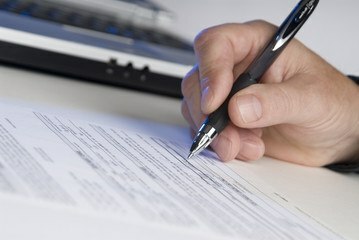 We play an active role in the formulation of dozens of formal claims and in the management of disputes related to contracts for the subsequent resolution or the achievement of negotiated arrangements. 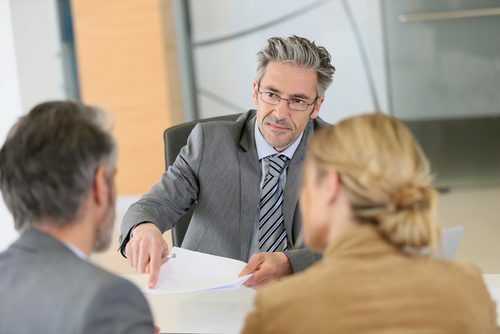 We have a long history of legal counsel for companies in matters of taxation, labor, corporate and contracting, as well as in the strategic planning in the legal field, working as advisors on specific issues or on a permanent basis, including services as embedded lawyer. 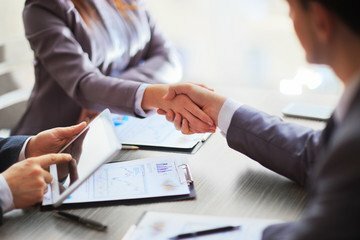 On the international stage, we have established a number of partnerships with law firms in different countries which allow us to collaborate and coordinate the provision of said services as well as the provision of comprehensive legal services. Our scope of work goes beyond. 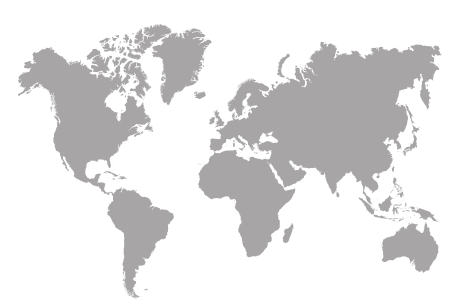 In Alonso Cuervo Abogados, together with our headquarters located in Oviedo and the branch office of Madrid, we count on partners in several countries all around the world. We specialize in the implementation of companies abroad, we handle all arrangements for your total peace of mind. 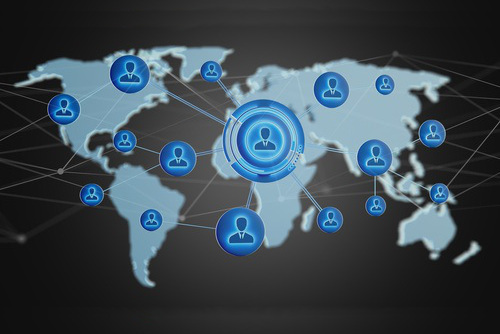 When it comes to internationalization, we provide you advice in all areas so that the final result is a SUCCESS. 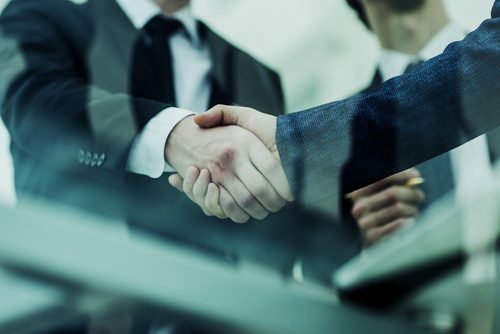 Our law firm will advise your company at national and international level and we will handle step-by-step the process of your activities from the beginning of a contractual relationship with third parties to the end with complete success. Our operating range encompasses all branches of law. 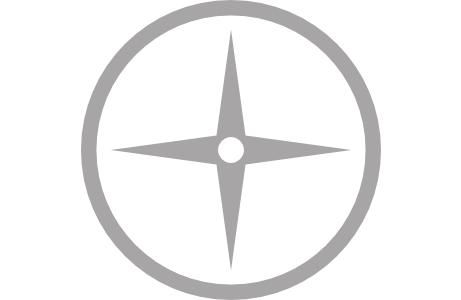 We provide advice to our customers and guide them throughout the whole process. Furthermore, we keep them fully updated on each step we take so that they can feel protected and well advised. We are a specialized and highly qualified team that can fulfill the requirements of natural persons whatever their case may be. Our operating range encompasses all branches of law. We provide advice to our customers and guide them throughout the whole process. Furthermore, we keep them fully updated on each step we take so that they can feel protected and well advised. We have a highly qualified team specialized in different branches of law. Director of the law firm. Bachelor in Law by the University of Oviedo in 1986. Graduate as University Expert in Bankruptcy Administration by the Vice Chancellor of Academic Planning and New Degrees of the University of Oviedo. Preferred specialization areas: Commercial, Bankruptcy, Criminal, Taxation, International Arbitration and Procedural law. Sound training on Public Law (Administrative). Currently, he studies Economics and Business Sciences. 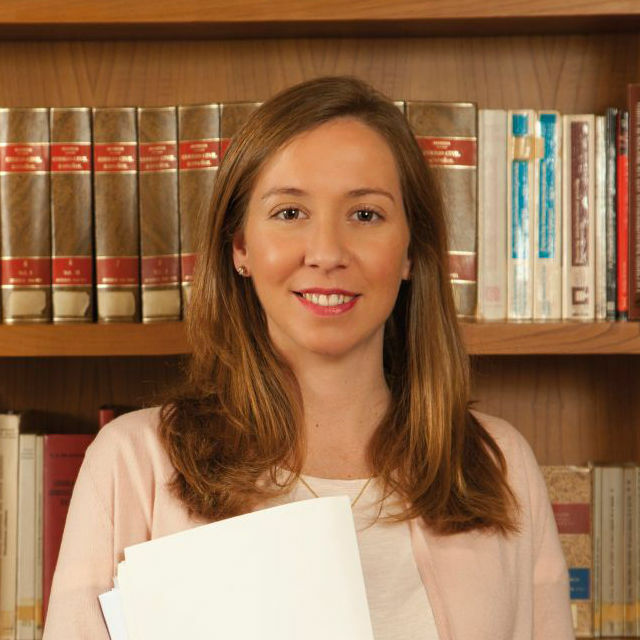 Bachelor in Law by the University of Oviedo in 2012, she started practising that same year. She mainly made her studies of secondary education in the United States and has a high level of English. She obtained the International English Legal Certificate-Level C1 by Cambridge University in 2016. Her professional experience focuses on civil procedural law as well as on business counselling both at national and international level. Graduate in Law by the University of Oviedo in 2014. In 2016 he obtained a Master in Law by the University of Oviedo and the professional attorney’s license by the Ministry of Justice and he started practicing that year. He has a high level of English: Level C1 in the International Legal English Certificate by the University of Cambridge. 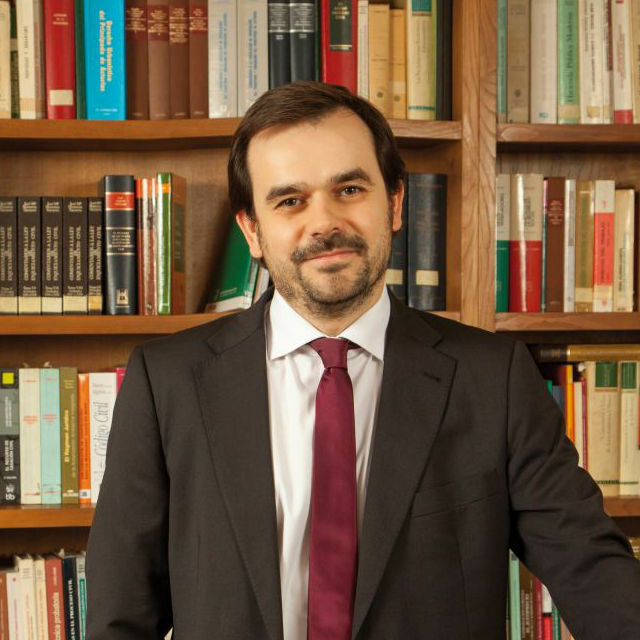 His main fields of expertise are: Civil, Criminal and Administrative law. Sonia Suárez Solís provides with tax advice to companies and individuals and she has also play an active role in operations of business reorganization such as mergers, capital increases and other corporate operations in tax inspections. She also plays a role in administrative sanctioning procedure, compulsory expropriations and general administrative procedures. 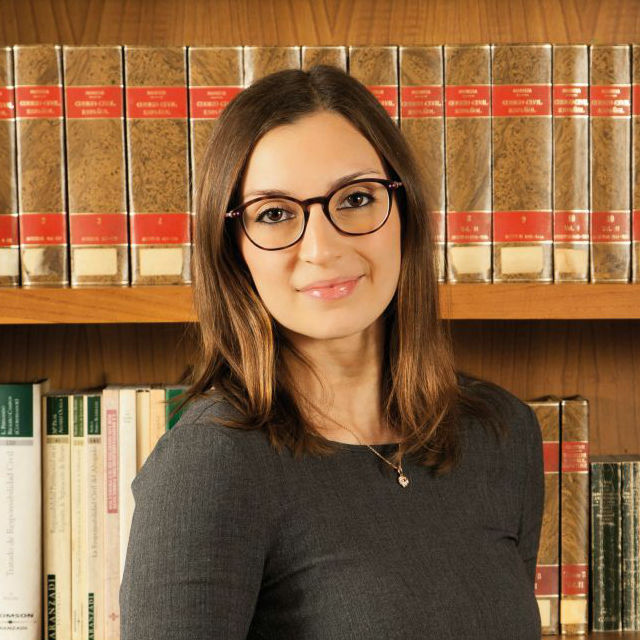 She is Bachelor in Law by the University of Oviedo and as further training she has obtained several Master’s degrees in taxation, tax consultancy and business law. 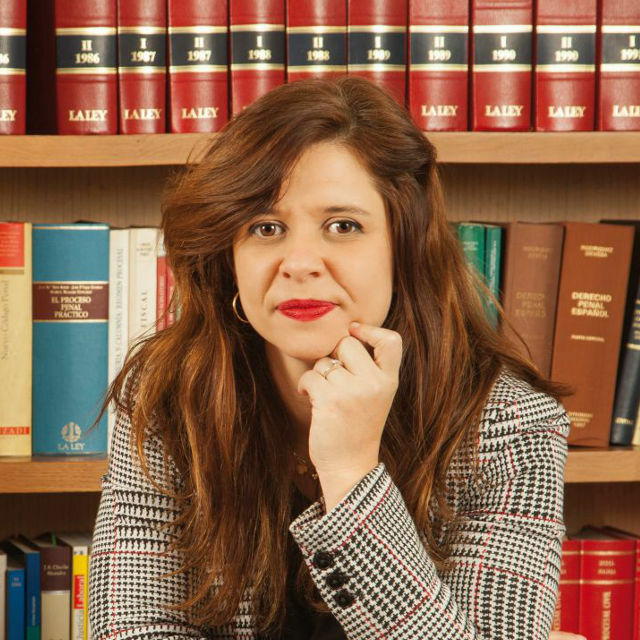 Rocío Tejedor López, Bachelor in Law by the University of Oviedo in 2001 and practising lawyer since 2003. 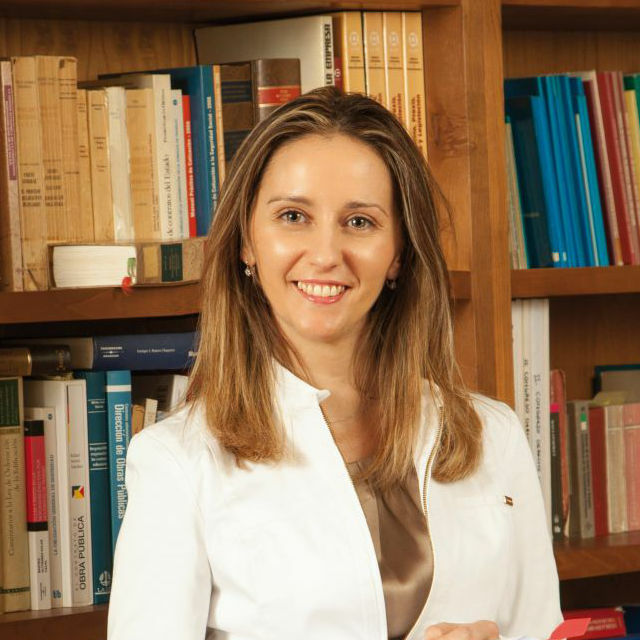 She is also graduate as University Expert in Bankruptcy Administration by the Vice Chancellor of Academic Planning and New Degrees of the University of Oviedo. She has high-level training in crisis situations and business insolvencies, as well as in company restructurings and reorganizations. 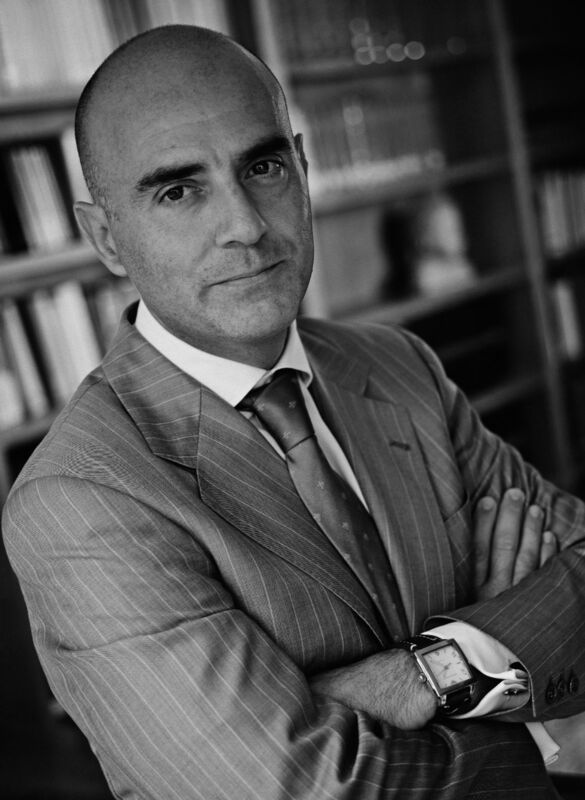 Gonzalo Olmos Fernández-Corugedo is Bachelor in Law by the University of Oviedo, graduate by the School of Legal Practice of the Principality of Asturias and practising lawyer since 2006, he has obtained the Certificate of Professional Competence by the General Council of Spanish Lawyers. 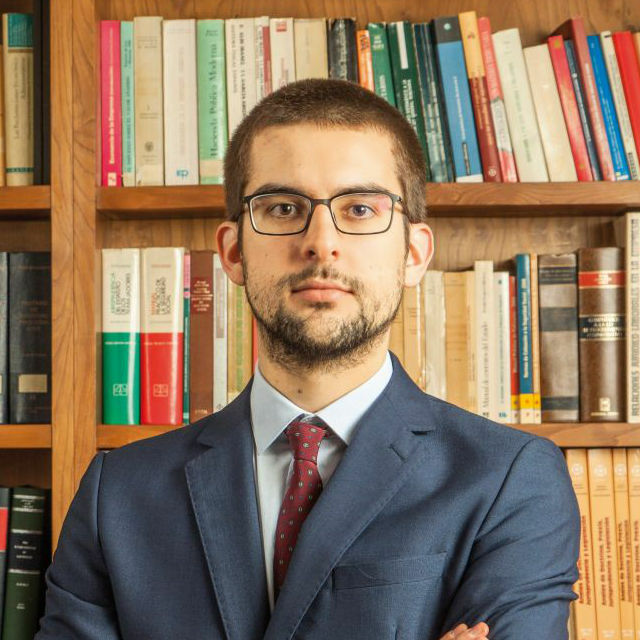 He has further training on several branches of law, mainly in Commercial and Administrative Law as well as professional competence to work in English and French. 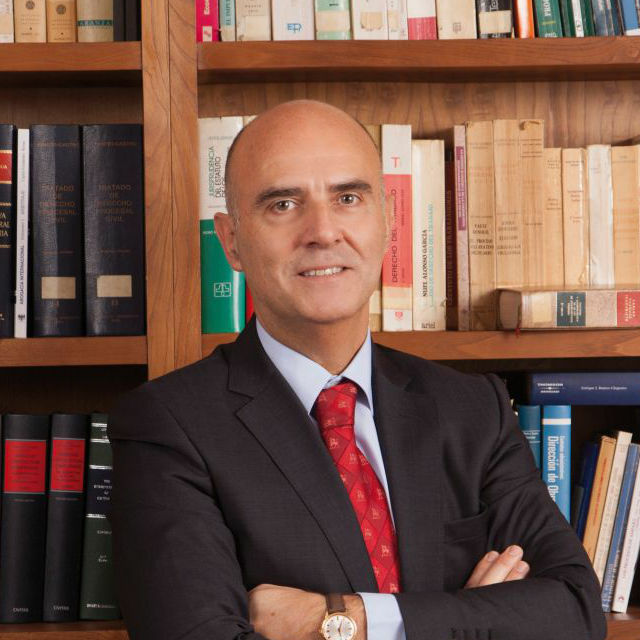 His experience as a lawyer has focused on business consultancy, national and international commercial contracts, settlement of disputes in connection with the execution of contracts, diverse business collaboration agreements as well as Administrative law in regulated markets, mainly in the energy sector. Marina Azcárate García – Carreño is a Bachelor in Law by the University of Toulouse. She is professionally competent to work in English and French. At the present time, her activity is focused in the legal examination, review, analysis and counselling on public and private contracts and the legal assistance to companies. Marta Ellen Vatle González is graduate in Business Sciences by the UNED and Higher Technician in Administration and Finances and has obtained a Master in Tax Counselling and Professional Practice organized by the Management Development Center and has also taken courses on accounting and taxation.